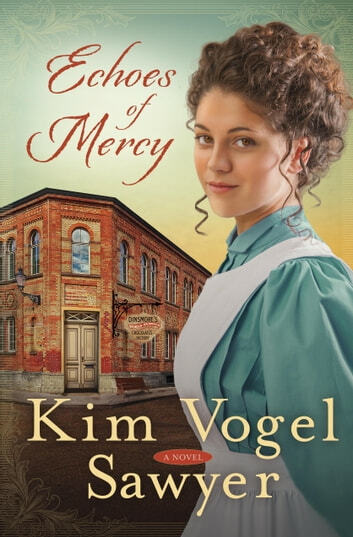 When a suspicious accident occurs at the famous Dinsmore Chocolate Factory in Sinclair, Kansas, Caroline Lang goes undercover as a factory worker to investigate the circumstances surrounding the event and how the factory treats its youngest employees—the child workers. Caroline’s fervent faith, her difficult childhood, and compassionate heart drove her to her job as an investigator for the Labor Commission and she is compelled to see children freed from such heavy adult responsibilities, to allow them to pursue an education. Oliver Dinsmore, heir to the Dinsmore candy dynasty, has his own investigation to conduct. Posing as a common worker known as “Ollie Moore,” he aims to find out all he can about the family business before he takes over for his father. Caroline and Oliver become fast friends, but tension mounts when the two find themselves at odds about the roles of child workers. Hiding their identities becomes even more difficult when fate brings them together over three children in desperate need. When all is revealed, will the truth destroy the love starting to grow between them? This book was entertaining and written to identify a real problem of the times . I enjoyed the storyline and characters. I felt that the story had alot of twists. Thank you.